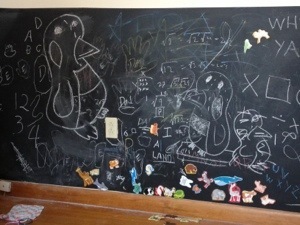 HP recently painted a wall in our home with magnetic primer and then chalkboard paint. This entry was posted in Baby Person, Business ideas, Family, Uncategorized and tagged ---------------, BP, Business ideas, entertainment, Family, gadgets, home, HP, Joy, Memories, mental-health, motherhood, Parenting, Photography, Silly Child, Stories, Writings. Bookmark the permalink.